A little bit late to the party however there were no real issues with running this asset in 5.x so I felt no rush. I’ve finally released DocuMaker through Unity 5.x today so there are no compatibility warnings when downloading it now. Get it on the Asset Store here! A few major changes added in this release. It’s using MonoBehaviours now as a base so serialisation in Unity is better supported along with prefabs. I’ve optimised the NearestPoint function in CameraPath so that it can take extremely long paths with ease. Patches are starting to slow down now after the initial release. Feedback from customers has been very positive so I think this version is proving a success! Happy Valentines day! I’ve been good and got you some code. Hope you like it! Another two days, another patch. Getting good feedback from users about the new version and making changes accordingly. So after taking on lots of feedback (I do read your emails) and deciding what it was lacking in my own vision I set about creating the new improved version. The core remains the same, Bezier interpolation has not changed for decades and things like the in editor preview remain important features. Most of the improvements come in the form of how you edit the path. I wanted to allow more in scene editing as it’s more intuitive and faster to work with. I needed to overhaul how the animation system worked and for now have dropped time based for speed based animation. It needed a tighter GUI so that’s been revamped. Events and speed changes are now integral to the system. You can also control many things outside of the path points that constrained version 2. Finally, I’ve given a lot more love to the example scenes, demos, videos and documentation included with this asset. There is a lot more flexibility now and I look forward to seeing what you guys create with it. Version 1.0 of BuildR is out in the Unity Asset Store! This is a big final release of BuildR. There will of course be further updates and some additional features, but I count BuildR now as feature complete. The latest release allows users to generate building interiors which means BuildR can be used in more projects. It was a highly requested feature and one that I initially resisted as I felt BuildR should remain an exterior generating tool. I couldn’t ignore the requests and there were many! I’m really pleased with the outcome and I feel like the building come to life when you can visit their interiors. 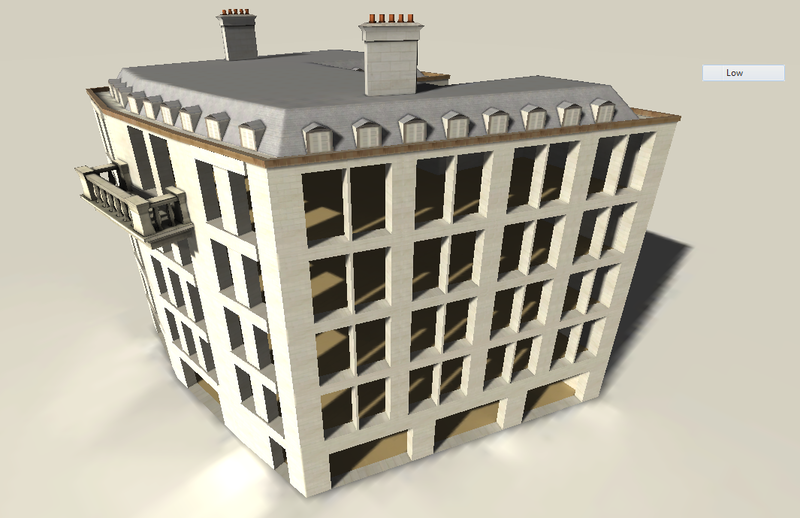 This version also includes an example of using BuildR to generate buildings at runtime. This was another highly requested feature and while it was always possible with BuildR since 0.5, an example will allow people to get started quickly. I’m happy to announce the release of a new asset onto the Asset Store. Track BuildR is a extension for Unity that will allow you to create a racing track within the editor without the need for modelling programs. The tool combines the bezier spline tech of Camera Path with the mesh generation found in BuildR. The tool itself isn’t feature complete though. I still have a few things to add over the next few months before I’m completely happy with it. The two major parts for the next patch will be pit lane generation and something to tie terrains to the track in a more direct way. Check Track BuildR out here. Jasper Stocker – Asset Support | Powered by Mantra & WordPress.